After a lot of preparation for our trip to London we finally met at Tegel airport at 8 o'clock on a Monday morning. Even though it was way too early and a lot of us didn't sleep that much we were all in a good mood and excited to go on this little adventure together. It was the moment we arrived at Gatwick airport we all realised that it would take us two more hours to get to our hostel in the middle of London. We used the time on the bus to recover the sleep we didn’t get. When we arrived at the hostel we were surprised by its warmness and comfort and still we couldn’t wait to get into the city and finally get something between our teeth. In the following days we explored the city and all its beauties. 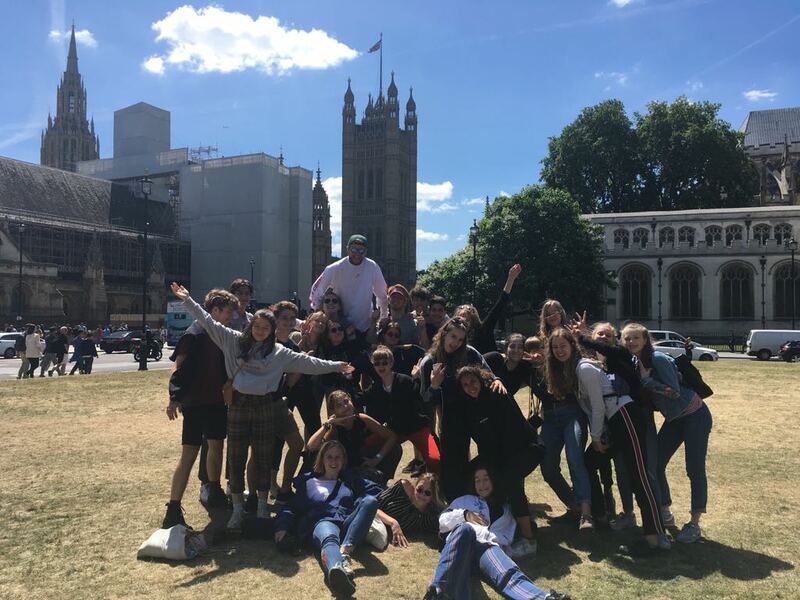 We did lots of group activities such as visiting the London Eye or a street art tour in Shoreditch but above all we still had time to follow our interests and find our own way around London. 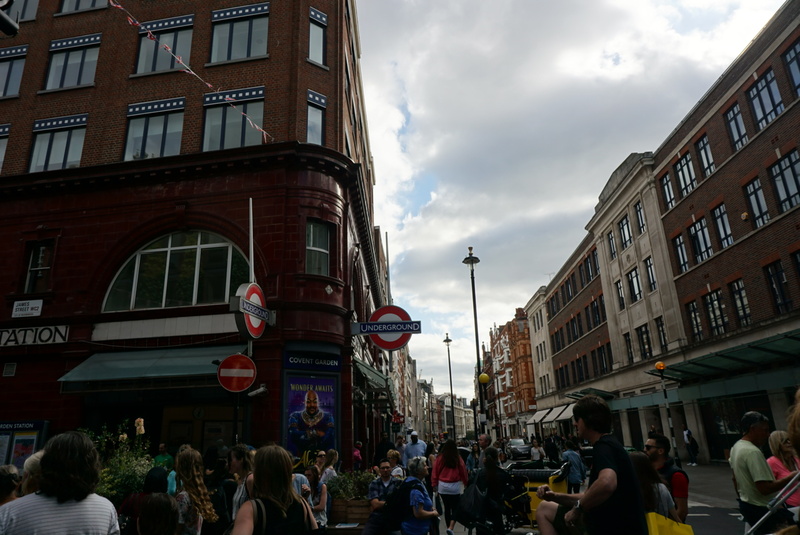 We visited Oxford Street and couldn’t get enough of Chinatown. 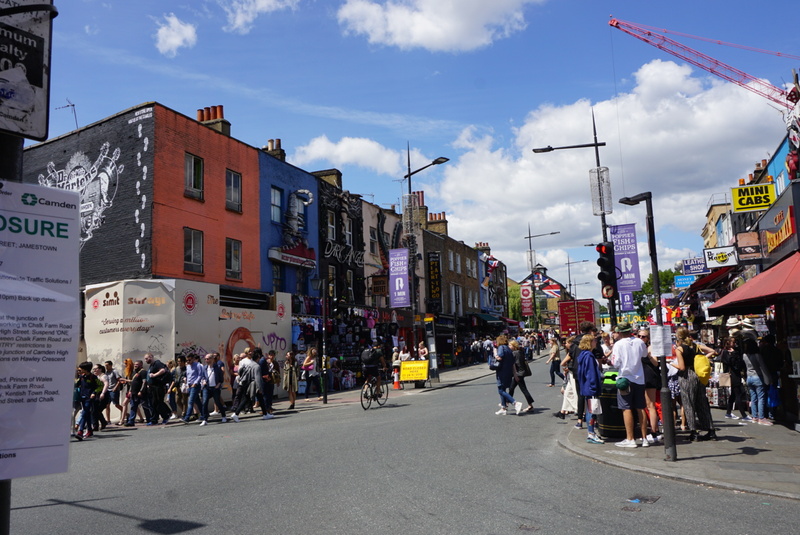 We went on a walk around Covent Garden and enjoyed the beautiful scenery, relaxed in a park near Camden Market where we did a rolling race down a hill, ate lots of great street food and talked to geese at Hyde Park. 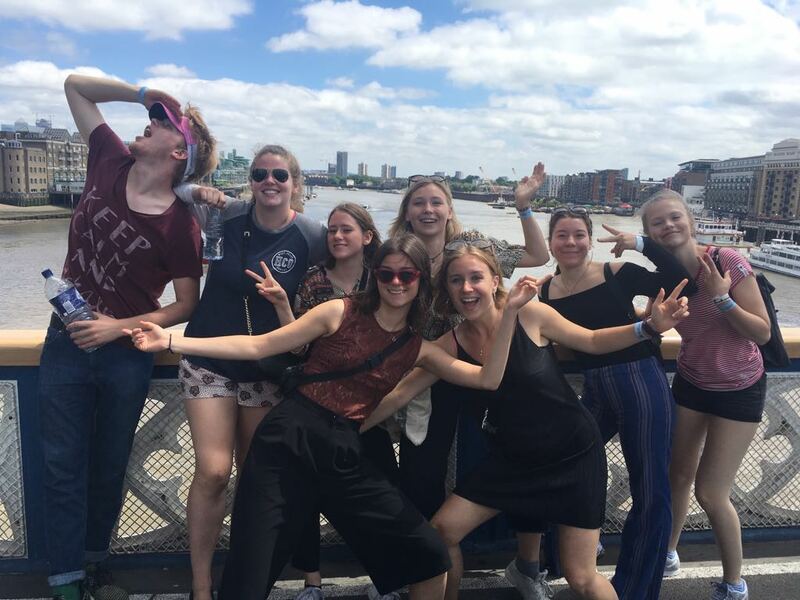 In the evenings we usually got all together in a park near our hostel and we ate dinner together which usually consisted of the meal deal at Tesco (THE british supermarket). 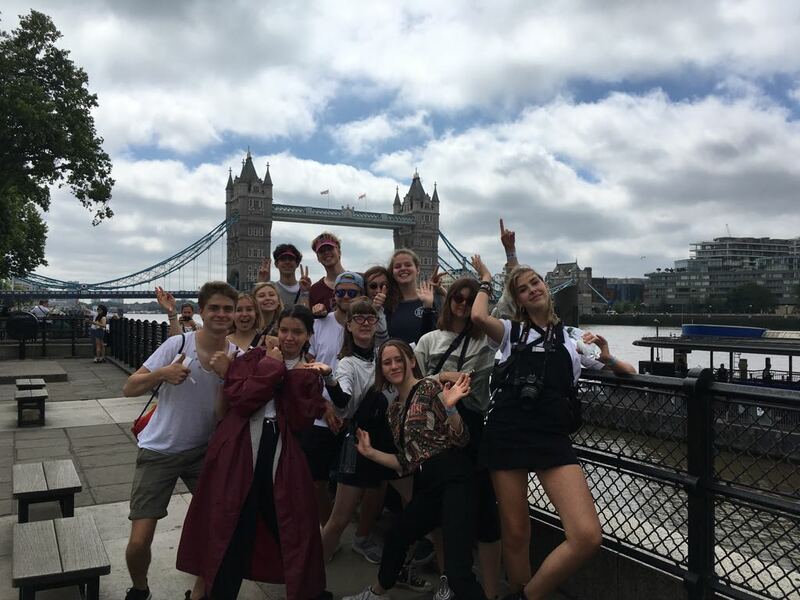 We had an amazing time taking “touri pics” and going on endless walks around the city and before we could blink twice it was Friday already. The journey back to Gatwick was an adventure just for itself. It took us longer than we expected and many didn't use the chance to go to the bathroom before we departed. So about two hours into the ride we kind of regretted that decision. So it goes without saying we were even more joyous to arrive at the airport that we usually would have been. All in all we had an eventful and edifying trip and we would all do it again. Am 6. und 7. 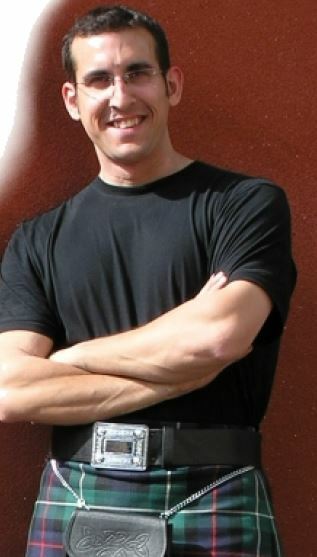 Juni begrüßte die Fachschaft Englisch David Vivanco aus Edinburgh, Schottland, der die 9. und 10. Klassen in seinem Workshop “Scottish Dancing & Songs” in die traditionsreiche Kultur der Schotten einführte. Durch seine authentische Art und seinen Humor hatte er die Schülerinnen und Schüler schnell auf seiner Seite und animierte jeden, bei den schottischen Gruppentänzen aktiv zu werden. 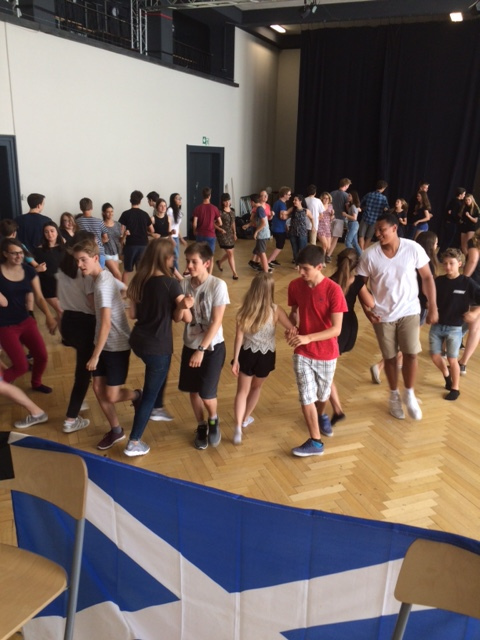 Diese werden in Schottland bei traditionellen Tanzveranstaltungen (“Ceilidh”) oder auch bei größeren Festen getanzt. Besonderer Dank gilt dem Verein der Freunde, der durch seine großzügige Unterstützung den Workshop ermöglicht hat. 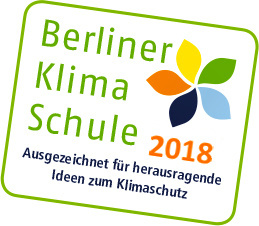 Wir freuen uns auf eine Wiederholung im kommenden Schuljahr!